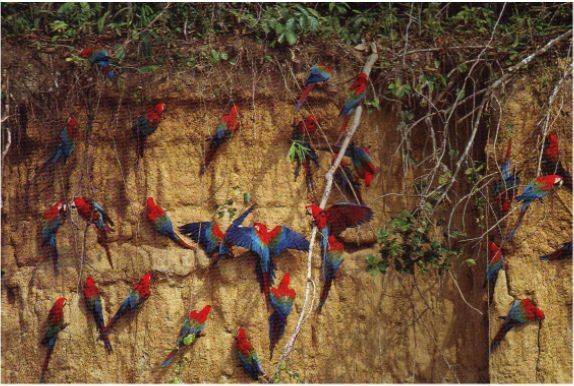 Includes Visits the Puerto Maldonados’ closest larga macaw clay lick (from a comfortable floating blind) at the Heath River Wildlife center (HRWC) – visit the extraordinary biodiverse Pampas del Heath (Savannah). 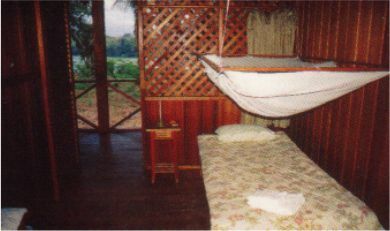 Accommodations, full board, excursions and visit to an Indian community. The lodge offers an array of options almost too numerous and varied to be taken on one visit. We may spot wildlife along the lightly-used trails of this remote forest, and perhaps stake out one of the lodge’s mammal clay licks, in hopes of sighting an elusive Lowland Tapir, the Amazon’s largest mammal. 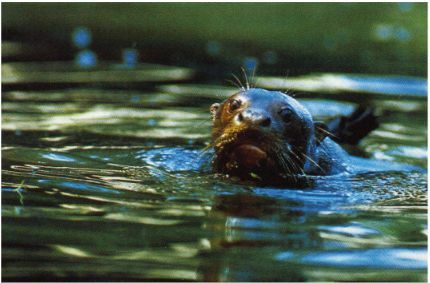 We can visit the abundant birds and monkeys of a secluded oxbow lake, travel upriver and float stealthily downstream with the engine off, and walk or bicycle through the astonishing change of environments to be experienced on the short journey from the river to the Pampas del Heath – an excursion that also takes in a rare nesting site of the Red-bellied and Blue-and-yellow Macaws. 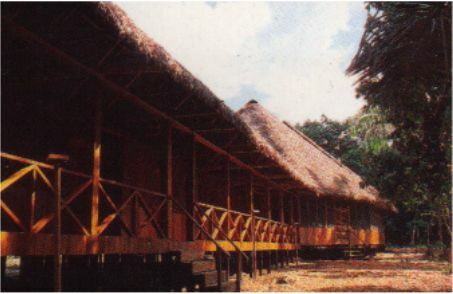 We may also pay a visit to the village of Sonene, one of the surviving communities of the Ese’Eja indigenous people.